You treasure your loved one and provide care unlike any other. You tackle more than you could explain in terms of household to-dos and personal care. And, you do it with unconditional love. No one can take your place, but the reliable and capable caregivers of FirstLight strive to be a close second with our premier home care assistance and at home care services in Fort Mill, Rock Hill, Tega Cay, and surrounding communities. 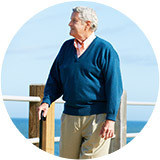 Trust us with your long- or short-term care, any hour, any day. We’re here to help. FirstLight’s compassionate home care assistance and at home care services in Fort Mill, Rock Hill, and Tega Cay, eases daily life of people with disabilities and their families by unencumbering caregiving family members, while simultaneously increasing independence for the person with the disability. Our intuitive home care providers operate with patience, excellence, and compassion to best serve clients and families. Everyday tasks are easier with home care providers. From bathing and personal hygiene, including bathroom care, to cleaning, organizational tasks, and companion care, we are glad to serve. 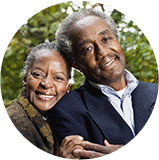 Our Travel Companion Program offers assistance during a journey. And, the FirstLight Respite Care option offers loved ones the opportunity to enjoy rejuvenating breaks from the caregiving role on a schedule completely customizable to them. Contact us today to learn more about our home care assistance and at home care services available to clients in Fort Mill, Rock Hill, Tega Cay, Pineville, and Indian Land.